A little over a week ago, the Greenwich Barkada revealed a new pizza variant — Greenwich Bacon Crispy Thins! 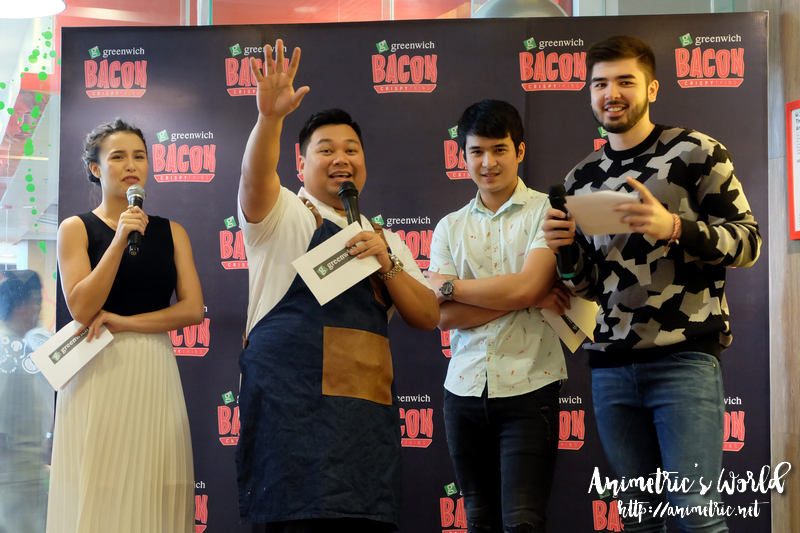 The Greenwich Barkada consisting of Yassi Pressman, Jerome Ponce, and Andre Paras had a special guest that day — Chef Ed Bugia of Pino, BRGR The Burger Project, and Backyard Kitchen fame. Chef Ed came up with a bacon-themed array of dishes that were to be served alongside the Greenwich Bacon Crispy Thins. It was definitely a celebration of bacon. 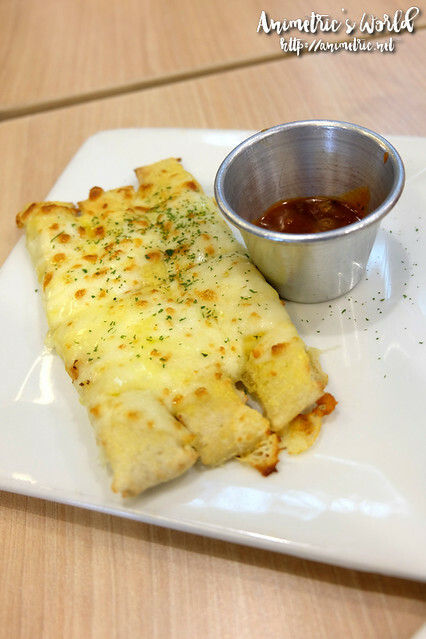 We had some Greenwich Cheesy Bread Sticks with Dip (P43) to start us off. I love these. 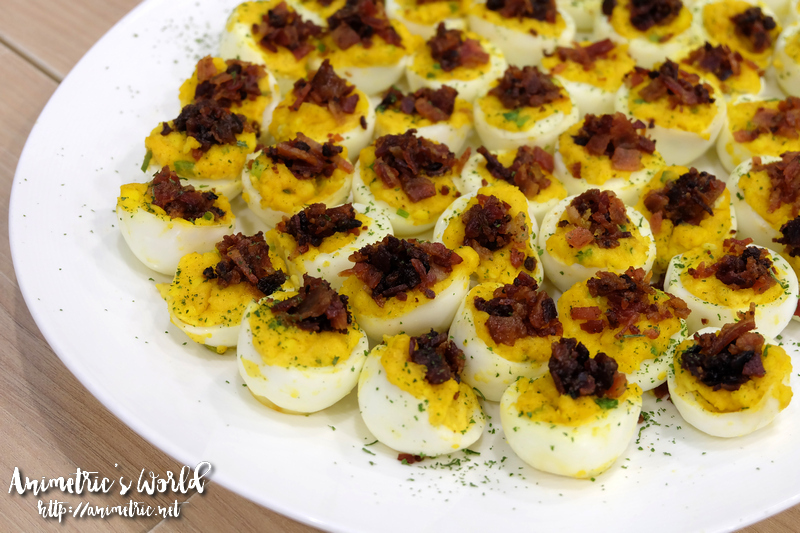 Chef Ed’s first dish was Bacon Deviled Eggs. Yummy, had to stop myself from having too many. 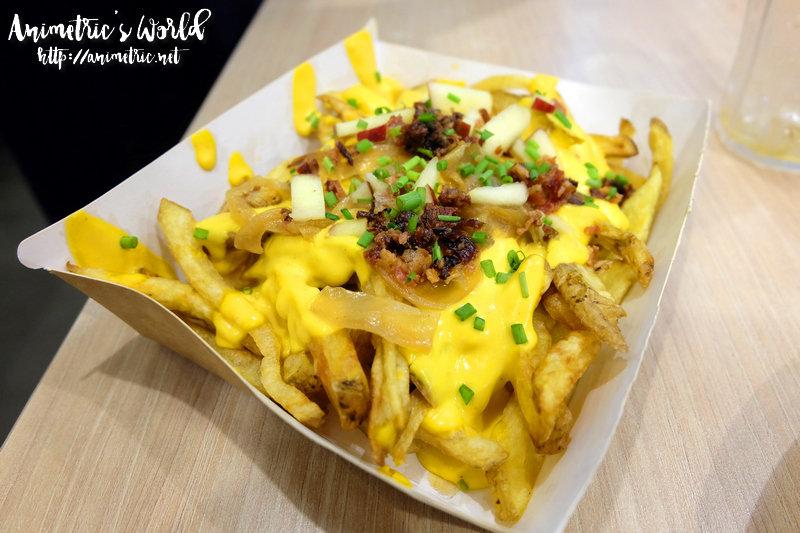 His next creation was Cream Cheese and Bacon Poutine with Caramelized Onions, Apples, and Chives. Looks good on paper but was disappointing in real life. 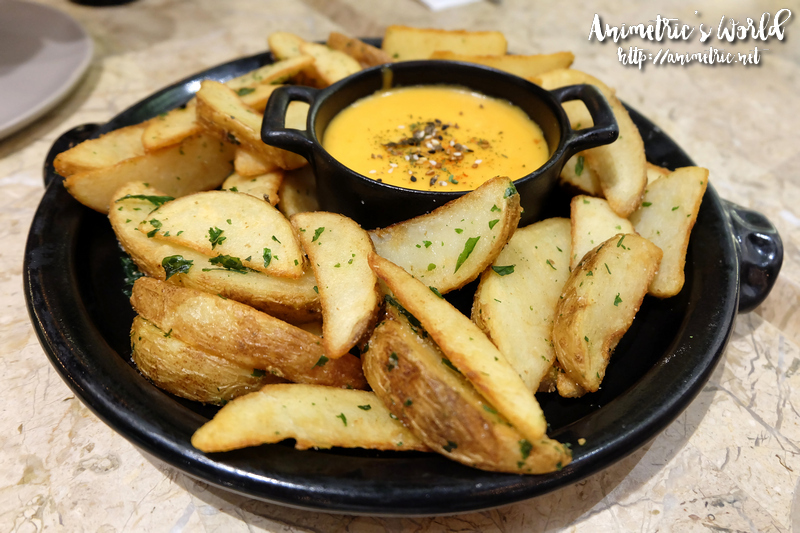 I wanted to like it so bad but the potatoes tasted like they were chilled and then re-fried. I don’t know. 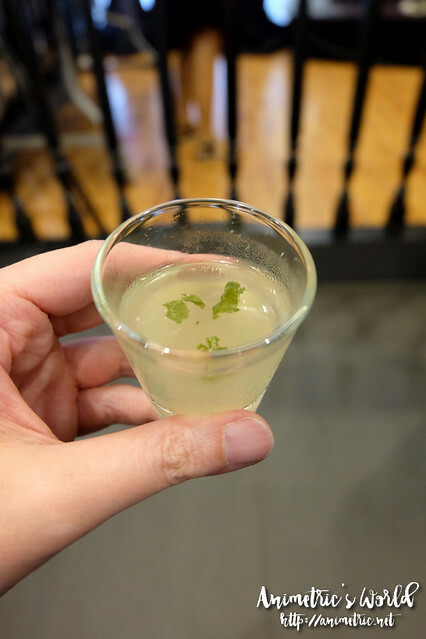 It had this out-of-the-refrigerator aftertaste. I had a few pieces and that was that. Next up was Baked Potato Cream Cheese Soup with Bacon. Yum! I think I breathed it all in, I finished my bowl in a couple of minutes lol. We had a palate cleanser before the main event so we could savor the new pizza in its full glory. Presenting… the new Greenwich Bacon Crispy Thins! 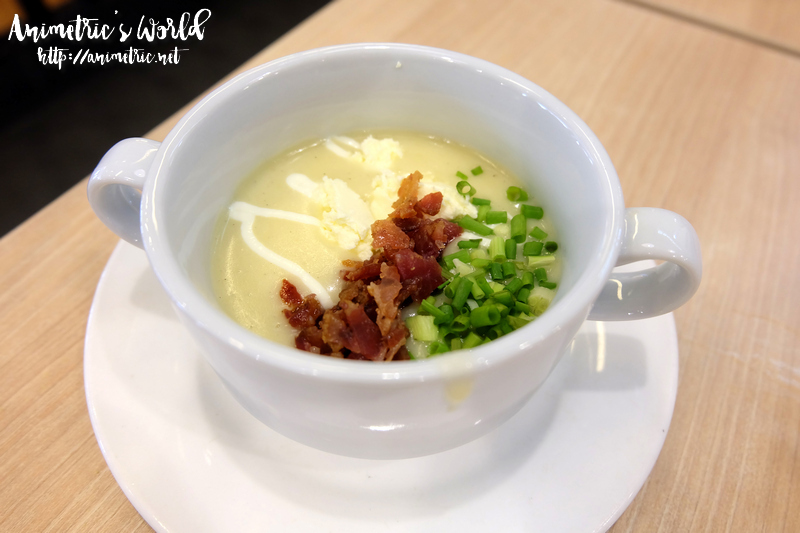 It tastes just like Carbonara with its creamy white sauce, mushrooms, ham, bacon, and cheese. Best eaten when hot and fresh off the oven. Yum! I got to make my own Greenwich Bacon Pizza Thins to take home to the family too. The kids loved it! 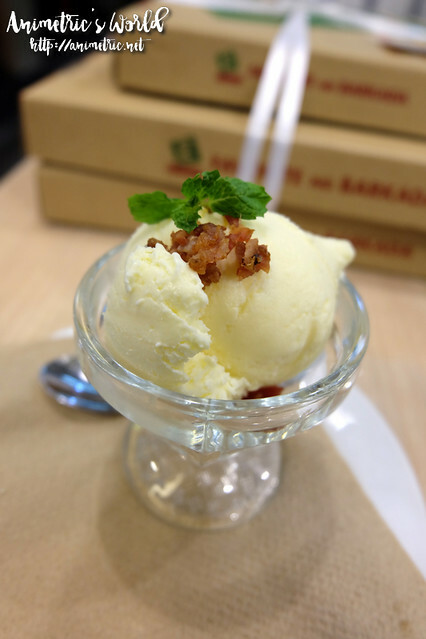 Hands down the best thing I ate that week was Chef Ed’s Cream Cheese Ice Cream with Candied Bacon. OMG. It’s so good I wanted to take home a gallon. I felt like I was in an episode of Master Chef with bacon as the mystery ingredient. Is Andre Paras super tall or am I super short??? Lol! The Greenwich Crispy Bacon Thins will be available at all Greenwich stores nationwide until Sept. 30, 2016. Price starts at P220 for a double sized pizza. Try it before it’s gone! Like this post? Subscribe to this blog by clicking HERE. My daily adventures as a skincare-obsessed 40-something mom who refuses to look it. I eat, I shop, I conquer! 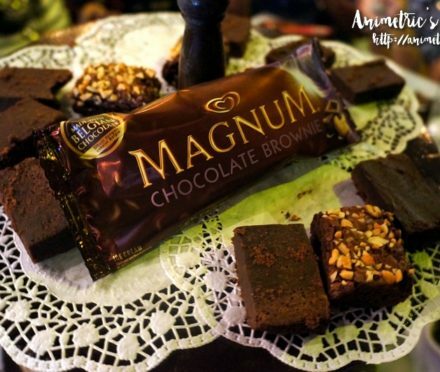 Georgina Wilson for Magnum’s new flavors! 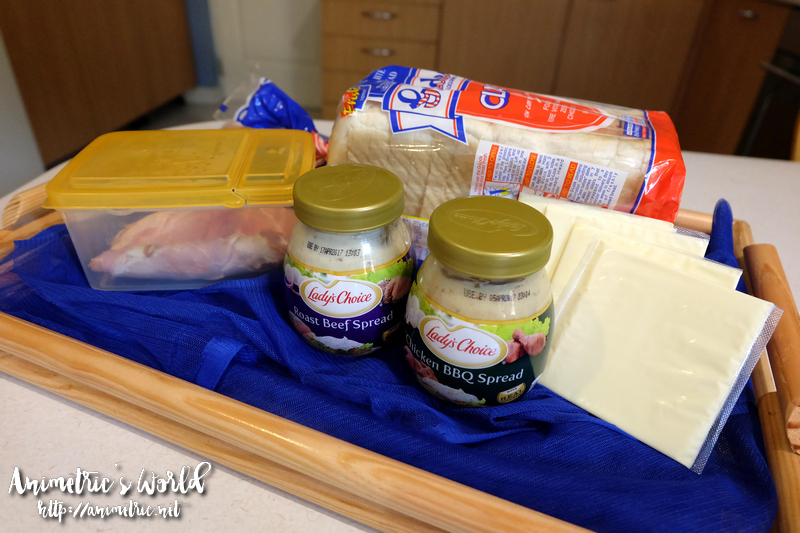 Lady’s Choice Chicken or Beef Spread? Yogorino for Italian gelato, yogurt, and milk tea! It’s my birthday… hello 44!